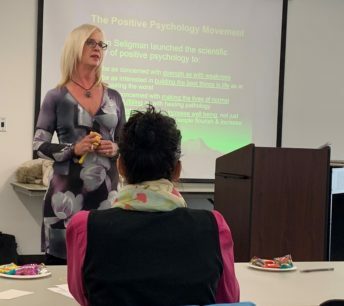 MCDA would like to thank those who attended our February 21, 2019 winter event, Positive Psychology: Confronting the Myths and Exploring Opportunities. 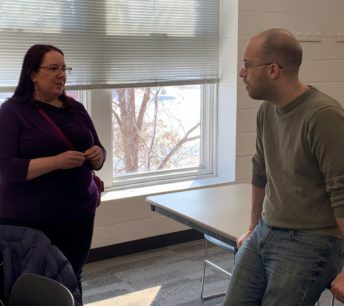 Participants received an informative, interactive lesson on how positivity and focusing on overall well-being can improve not only clients’ lives, but also their own lives. We would also like to thank our speaker, Carmen Croonquist, who shared her vast experiences, knowledge, and positivity! Carmen Croonquist is an executive coach, leader, and motivational speaker known for her unique ability to help individuals find clarity about their life purpose and expedite changes. President of Intentionality Coaching & Consulting Services, she uses her intuitive and strategic gifts to help clients remove beliefs/programs that limit their potential.